WELL, it’s rather fascinating how Microsoft controls not only the press; it tames or gains influence over many blogs too. It’s sometimes paid for. Several days ago we mentioned how Paul Krill offered a platform (IDG) for Microsoft FUD just days after a Microsoft mouthpiece had done the very same thing (in CNET). Timing was suspicious because for a low-key person to have similar coverages coincide like this is a tad unnatural. It was probably intended to invoke fear, spread misinformation, and confuse the public. By changing perceptions around open source, Microsoft wants to have GNU/Linux abolished in favour of Windows, even as an underlying platform for Free software. Indeed, Masnick has just published a relatively detailed post about it. Last week, Microsoft was kind enough to invite me to sit down, one-on-one with Horacio Gutierrez, the company’s VP and Deputy General Counsel in charge of intellectual property and licensing. As you might imagine, given my views on the patent system in general, and Microsoft’s gradual embrace of the patent system specifically, he and I disagreed on a fair amount. We agreed that the patent system should be focused on encouraging innovation. We agreed that there were abuses of the system. From there, our views pretty much diverged, though the conversation was fun and lively. Gutierrez began the conversation by focusing on all of the “benefits” that Microsoft sees to the patent system, which focused on all of the licensing deals that the company has done. He positioned it by noting that the patent portfolio allows the Microsoft to get into deeper business relationships with other entities. Specifically, he noted that in many cases what began as a patent licensing discussion eventually leads to a much more complete business relationship that increases interoperability. He cited deals with both Sun and Novell as examples of this. In discussing all of this with Gutierrez, I brought up the company’s continual FUD campaign, where it goes to the press to wave that pointy stick around, in announcing that Linux violates over 200 Microsoft patents. Gutierrez noted that he was among the Microsoft execs who had made those statements, and he stood by them, claiming that Richard Stallman agrees, and falling back on his earlier claim of all complex products violating some patents, which is why he says they just want Linux vendors to work out some sort of patent licensing agreement. That, of course, doesn’t answer the question of why Microsoft keeps screaming about patent infringement, but never bothers to show what patents anyone infringes on. 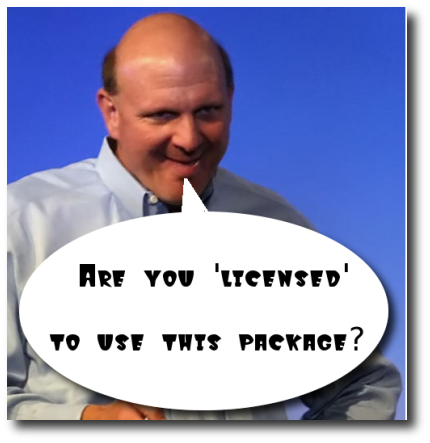 Microsoft needs to get rid of its chief IP lawyer and its patent strategy if it wants further efforts at interoperability to be taken seriously by open source vendors and users. In at least two interviews with IT publications this week, Horacio Gutierrez reaffirmed that the company intends to try and force open source companies to sign patent licensing deals or face lawsuits. The intellectual property that is trying Gutierrez’s patience is not any line of copyrighted code, nor any trademark or trade secret. It’s a bunch of patents that Microsoft claims it owns. In the bizarro-world that is US patent law, companies can get government-granted monopolies on procedures that are taught to programmers at high school as if they were some sort of valuable asset. The article above states that Microsoft needs to sack Horacio Gutierrez, but Gutierrez merely represents Microsoft’s strategy as whole. Again, it’s Microsoft itself that sent him out to spread all that FUD, and Masnick’s experience is one that others can probably attest to. Paul Krill tried to grill him on patents, without any success; instead, he gave Gutierrez|Microsoft the podium they craved. IDG threw this article all over its extensive network of domains, probably for mass effect. “IDG threw this article all over its extensive network of domains, probably for mass effect.”It becomes increasingly probable that Microsoft bets on becoming another SCO (with higher success rates in terms of ‘indemnification’); its other chief lawyers and patent people, such as Marshall Phelps, seem to suggest so too. Over the weekend we will cover Microsoft’s financial situation and show the evident decline, which requires urgent change of strategy and a return to price-fixing era, as opposed to dumping techniques. We already wrote, on numerous occasions in fact, about Microsoft breaking the law in India and South Africa, amassing patents in countries that quite explicitly forbid software patents. They rely on back doors and rule-bending. Despite rumours about Marshall Phelps, he might still be fully engaged with Microsoft, in terms of professional capacity. He seems familiar with the company’s patent strategy and also, according to this new post, he predicts that Microsoft’s patents arsenal might grow by a factor of 5 within just a couple of years. The company’s filing strategy is based on two key points, he explained. The first is that it needs protection in what it believes to be its key markets: the US, Europe, Japan and the BRICs (Brazil, Russia, India and China) countries, among others. The second is that it has to have a presence in countries that have a software manufacturing capability; that means the same countries as above, but also others such as Taiwan. Europe, Phelps said, likes to think that it is different because it says it does not grant software patents “but they can’t distinguish between hardware and software so the patents get issued anyway”. Whenever he says “protection”, what he actually means to say is “intellectual monopoly.” For some companies it is difficult to think of competing without some sort of a God-gifted monopoly, as it the company earned some Holy Right to preserve its business and not let competition ever grow. But to paraphrase a friend, business is an opportunity, not a right. Investment is a risk, not a guarantee. Ubuntu Removes Codec Patent Trap, But What About Mono? Red Hat-Microsoft Agreement Not Malicious, But Was It Smart? A lot of European Patents are facing growing scrutiny from courts (Team UPC, including Bristows, publicly complains about it this month) and "greenwashing" of the Office won't be enough to paint/frame these patents as "ethical"